2. Combine all the ingredients together. 3. Using any shape of cookie cutter cut your biscuit 1/2 thick. 4. Bake it for 10-12 mins until sides are a little brown. 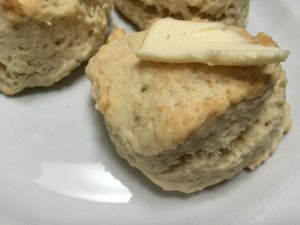 NOTE: Biscuit is best to eat with gravy or just butter. Happy Eating!